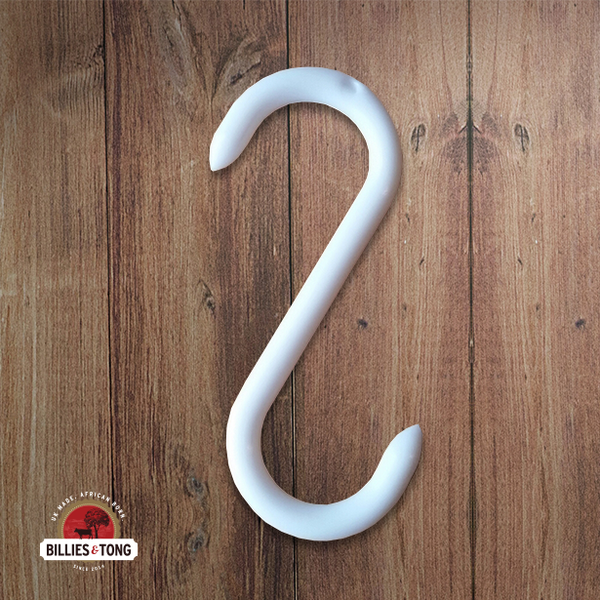 White plastic biltong box hooks. White plastic biltong box hooks. Come in packs of 12 or 100 hooks. Please get in contact for bulk orders.